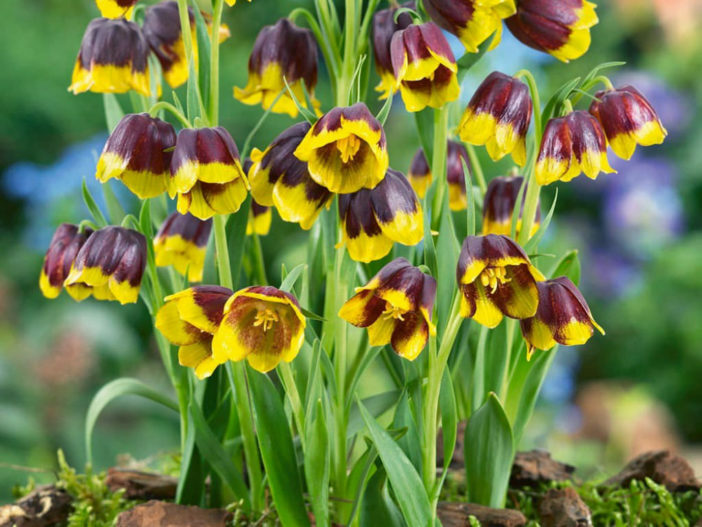 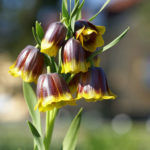 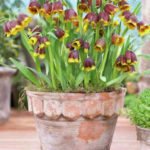 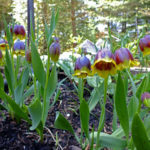 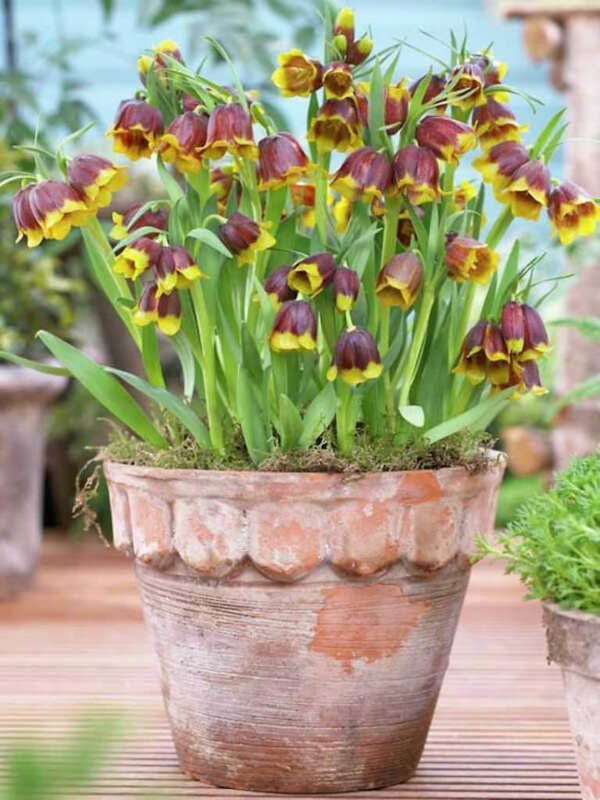 Fritillaria michailovskyi is a bulbous perennial up to 8 inches (20 cm) tall, with lance-shaped, grey-green leaves and 1 to 4 terminal, nodding, broadly bell-shaped flowers in early summer. 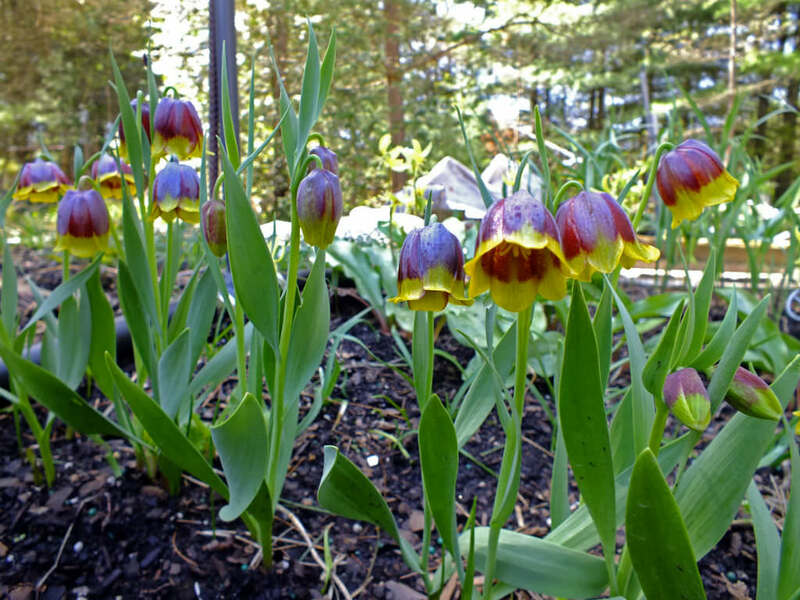 The flowers are up to 1.2 inches (3 cm) long, with deep purplish-brown, yellow-tipped tepals. 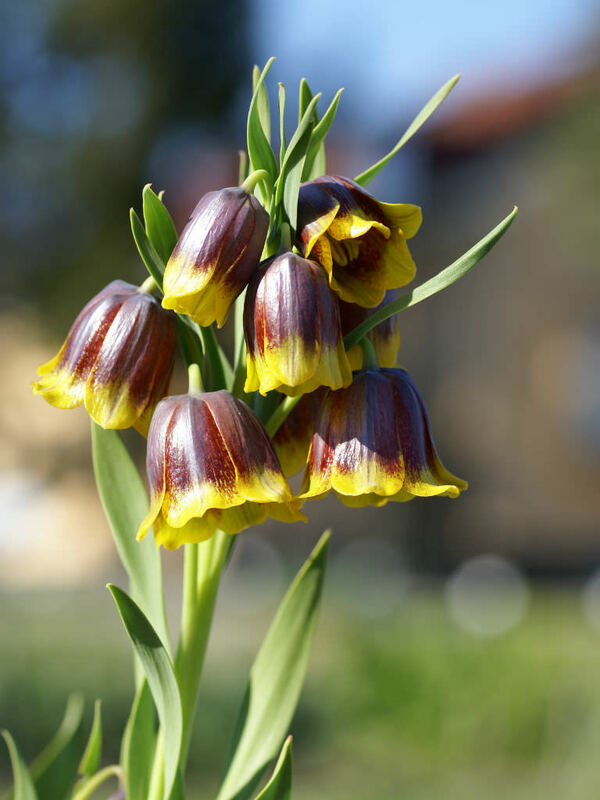 Native to mountainous areas of northeastern Turkey.